Hello, It’s Gym again! Today, I would like to applaud the parents who come with their toddlers to school. It’s always fun to see them try to keep up with their child’s energy levels. 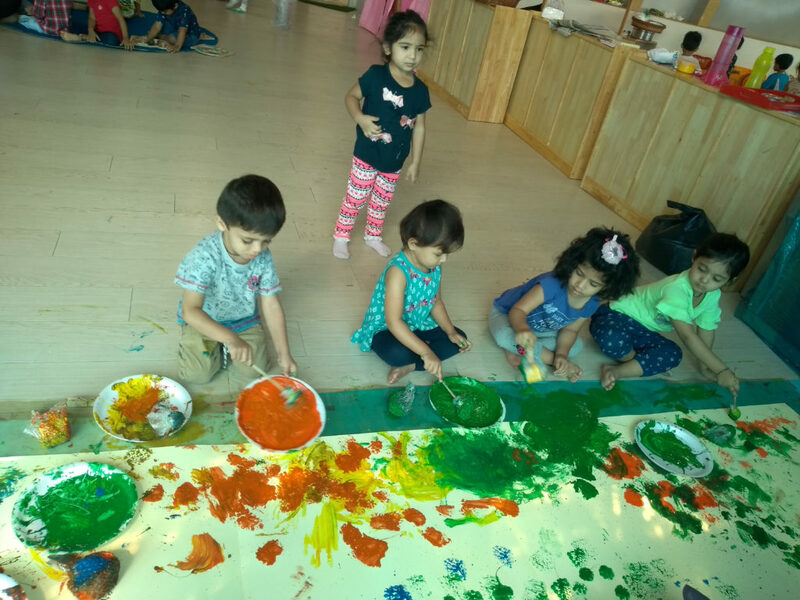 Having parents around ensures that the child has a fun time learning. And boy, do the kids love their parents’ company. Trust me, I know. I get to witness the bittersweet moment of children arriving in playgroup sessions alone for the first time year after year. Sure, they settle down in due time but it’s painful to see them so distressed. And we can definitely do a lot better in dealing with their separation anxiety. The easiest thing a parent can do is to spend time with their child at the school premise before school starts and after it ends. 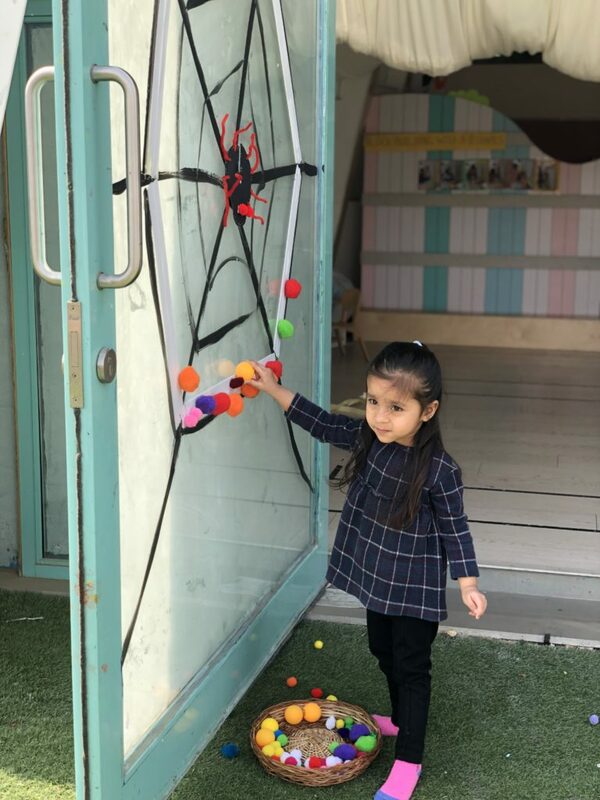 Spending ten to fifteen minutes in the playground or encouraging your child to speak to their teacher in your presence are small things that can make a big difference. For the first few weeks, the parent must function as the icebreaker between the child and their teacher. Parents can ask children how their day was or what they did in class in front of the teacher and see the kind of responses they get, if the child responds at all. 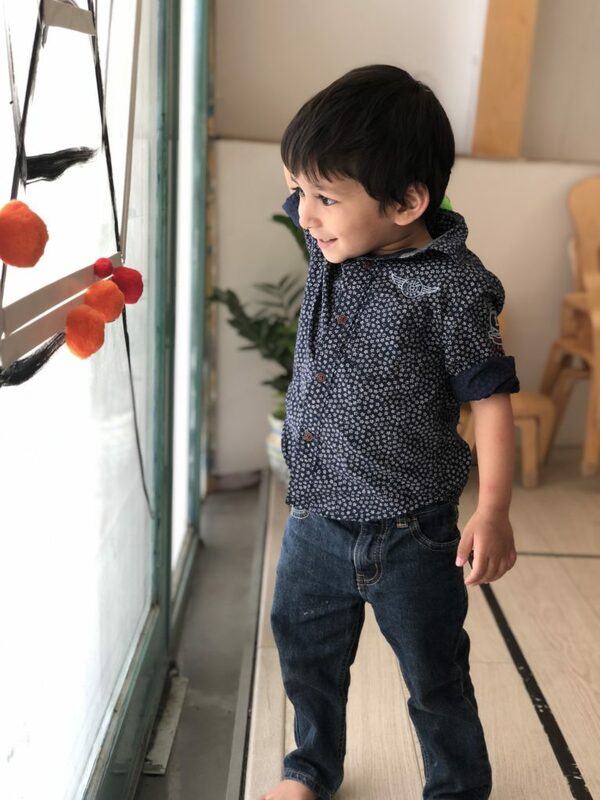 It’s a good idea to introduce the teacher to the child, say good things about them at home, and refrain from making any false promises to the child – they’re a lot smarter than we give them credit for! 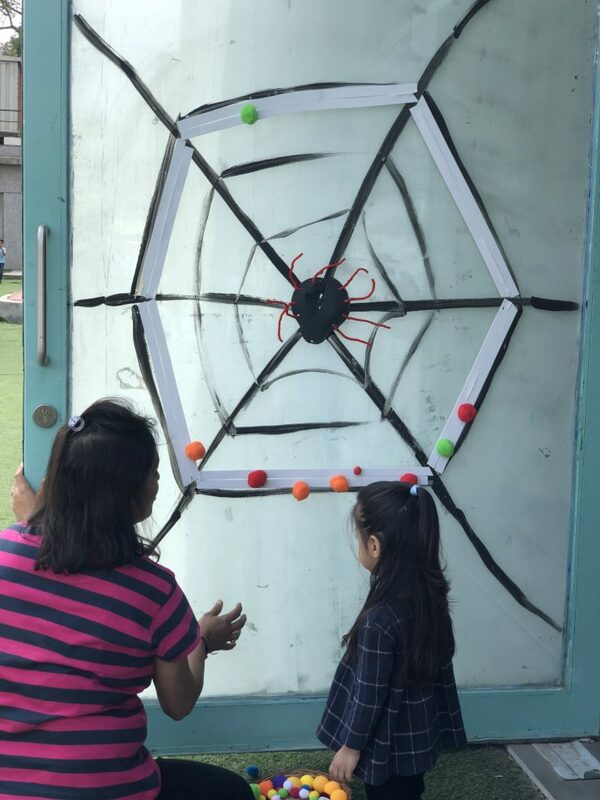 Beyond this, the best thing that a parent can do is to collaborate with their child at home in the learning engagements that they do at school. 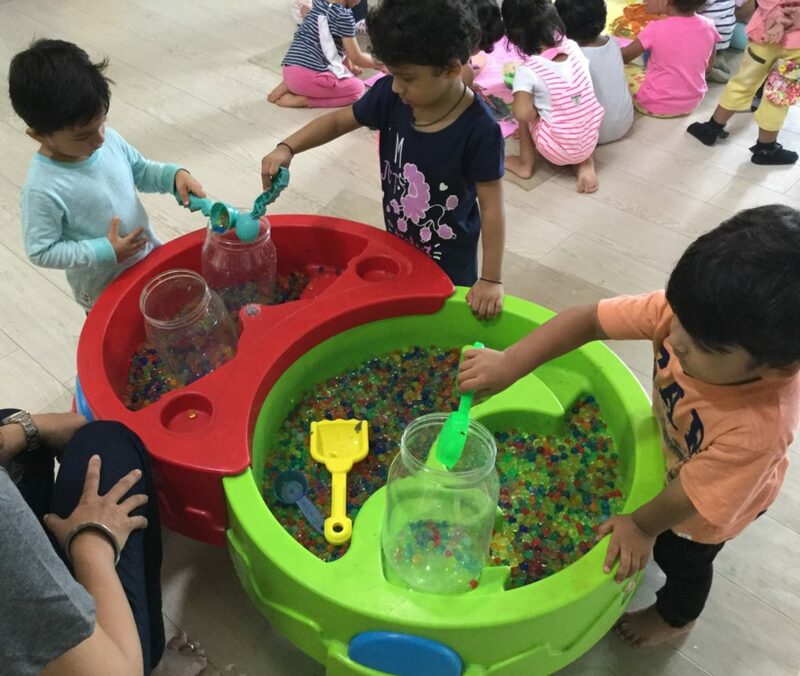 They loved doing them with you at the Parent-Toddler sessions and engaging with them at home would make children a lot more accustomed to doing them at school. Here are a few learning engagements you can recreate at home. They’re fun, easy to do, and don’t require you to purchase any materials. Your child will probably do this at school and will love doing it some more! Materials Required: bubblewrap, tape, paint, chart papers, and plates. Method: Tape rows of large chart paper forming a rectangular pathway. Wrap the bubble wrap around your child’s feet in a way that they are almost like bubble wrap boots. Fasten some tape around so that the bubble wrap doesn’t slip up. Once the boots have been fastened, empty paint into the plates and ask your child to step into them. You can place these on the chart paper itself. Then ask the child to step onto the paper and dance around or move around. Ask them to dip their feet into various different colours and step, hop, or dance on the chart paper. You can have conversations with them about the colours they are using or what they are making. You can also join in the fun and make it more enjoyable for them and yourself. As intriguing as it sounds, I assure you there will be no spiders. But it does need a lot of sticky tape and socks. Material required: brown tape, and socks. Method: Roll the socks into balls and place them in a basket. 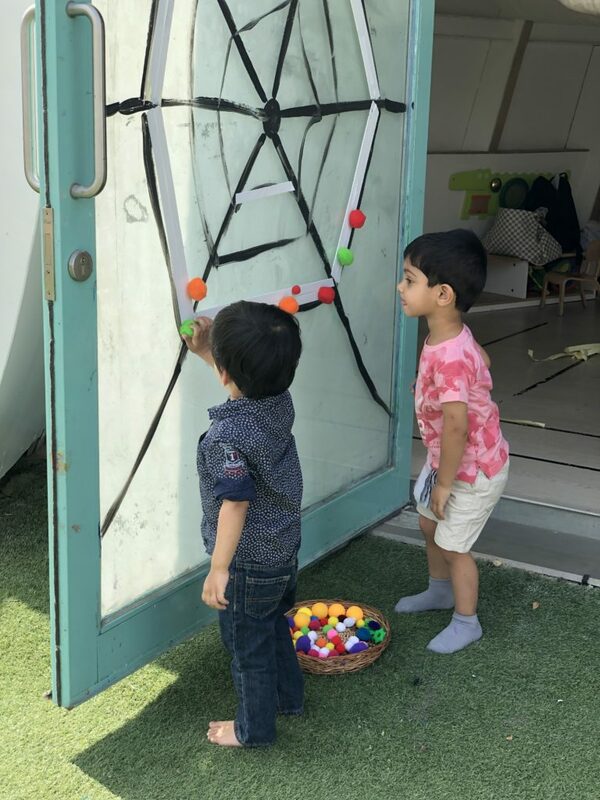 Using the tape find a suitable doorway where you can creating a web using the tape. Simply ask your child to take the sock and throw it on the web. 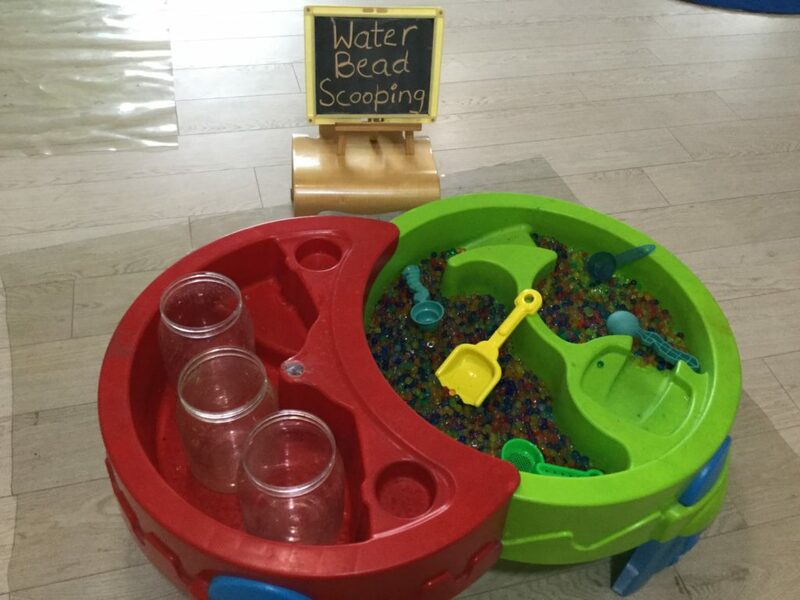 Children love water and you’re just going to make them love you a little bit more for recreating this activity. 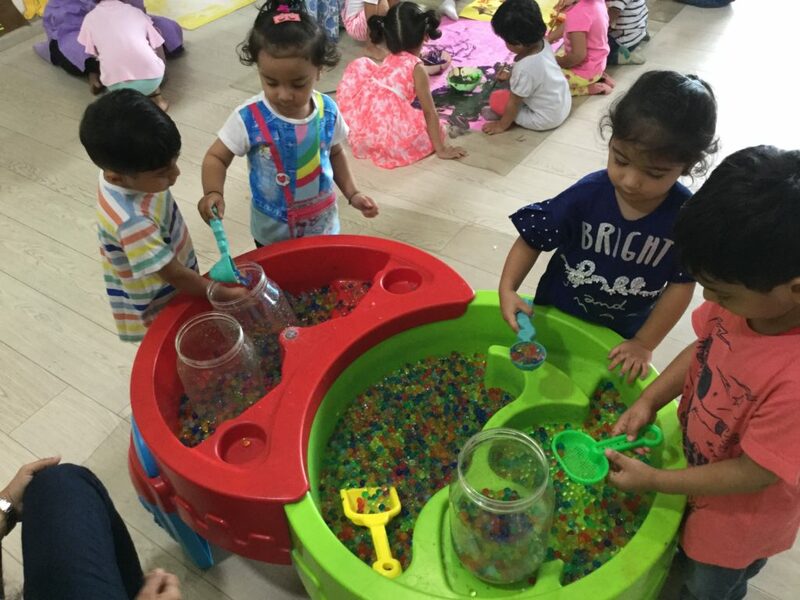 Materials required: 3 tubs or 3 buckets or a mix and match of both, 3 jars, multi-coloured plastic balls, and a ladle. 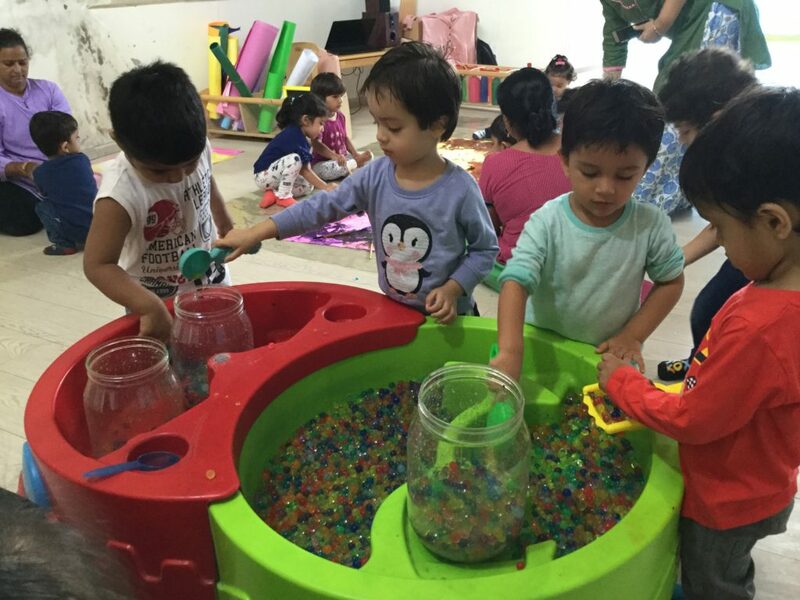 Method: Fill up the tubs or buckets with water and put the balls into them. Place three jars about half a foot away from the containers. 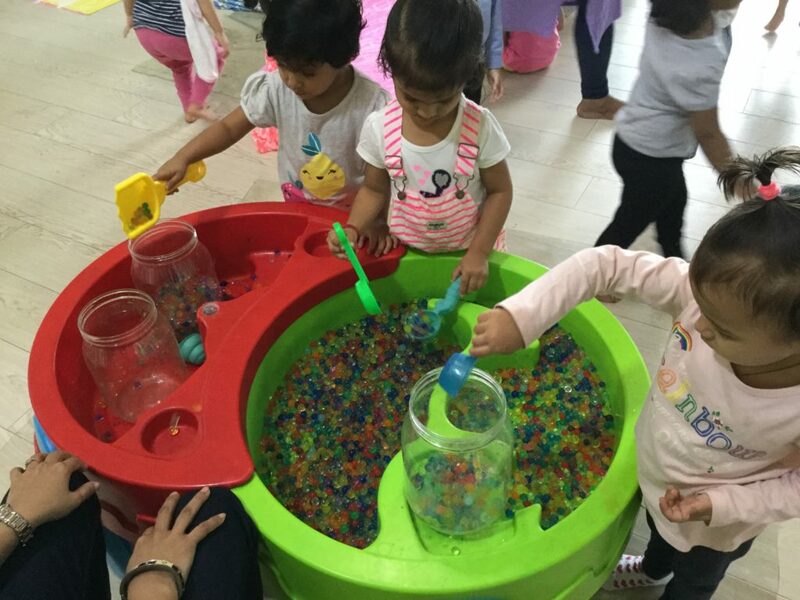 Give your child a ladle and ask them to scoop out a ball and put it in the jar. As easy as that! And if they end up spilling and splashing, you can ask them to help you mop it up! Try your hand at these and share your experiences with us!